An Internal Revenue Service program designed to prevent fraud costs taxpayers roughly $18.2 million per year, but doesn’t work, according to the taxpayer watchdog group Citizens Against Government Waste. In 1994, in an attempt to catch fraudulent tax returns, the IRS created the Electronic Fraud Detection System. In 2009, the IRS began to modernize this system by working on the Return Review Program to replace it. "Despite the recognized need to get the [Return Review Program] in place in a timely manner, the program is still in development, and is now estimated to be completed in 2022," the watchdog group explains. "The program is also ineffective." In 2015, the inspector general found that the program missed 54,175 fraudulent returns that totaled $313 million. Additionally, the Government Accountability Office found that the program incurred cost overruns and surpassed its initial budget by $86.5 million. "On far too many occasions, the federal government tries to build IT systems, particularly software, that is available in the private sector at a lower cost," the group says. "As the IRS continues to process tax returns, it should provide a better return on its efforts to prevent the filing of fraudulent returns. The best way to accomplish that goal would be to immediately seek out and utilize existing, successful platforms in the private sector." According to the inspector general, the program could cost taxpayers $18.2 million per year if it does not set a termination date for the program due to additional operation and maintenance costs. 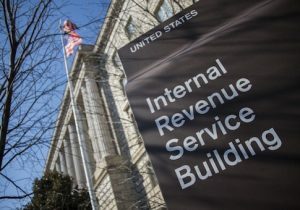 "During the 2015 tax season, only 38 percent of phone calls were answered, as the IRS hung up on more than 30 million taxpayers," Citizens Against Government Waste said. "The tax code and tax regulations combined are more than 70,000 pages long. Annual compliance with IRS paperwork takes 8.9 billion hours and costs the economy $409 billion in lost productivity." "Now taxpayers can add another reason to this (partial) list of complaints about the IRS and the tax code," the group said. "A program intended to uncover and prevent the filing of fraudulent tax returns has failed to perform as expected. If taxpayers are going to be overburdened when they attempt to pay their fair share of taxes, they should expect the IRS to be vigilant about making sure that the system is fair for everyone."